One in five of us suffers from depression. 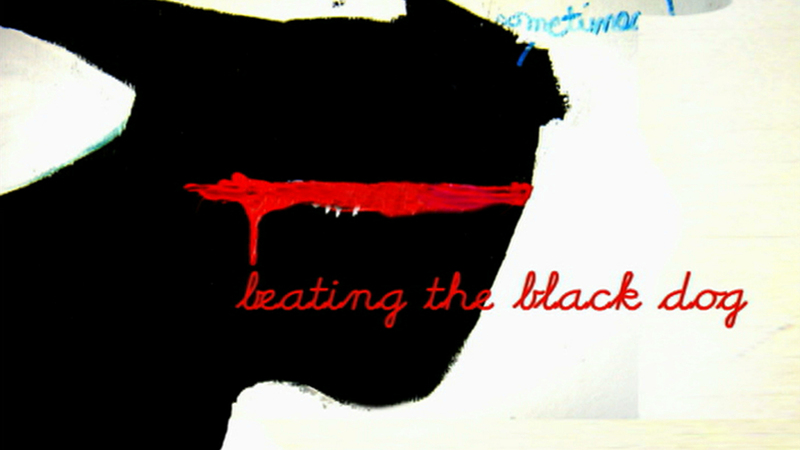 Beating the Black Dog is a moving, empathetic dissection of the mental illness that afflicts so many of those around us. One in five of us suffers from depression. For some, the 'Beating the Black Dog' takes on terrifying dimensions. For those with bi-polar disorder, or manic depression, the fugue can descend into psychosis, alcoholism or even split personality disorders. This documentary highlights some of the more alarming sides of depression and how it affects the sufferers and their families. Beating the Black Dog is a moving, empathetic dissection of the mental illness that afflicts so many of those around us. Good-looking Kate O'Connor had it all. 'She was a real all-rounder', recalls best friend Felicity Dwyer. 'She was really good at school, very talented at art, great at sports, popular, and funny, really funny'. But six months into her university career, she started behaving oddly. At first her friends thought she was just moody, but soon her behaviour would lurch from well heeled and friendly to 'screaming charlatan with language you wouldn't find in some of the worst streets in the world'. But what Kate's mother Sue found one night after a party petrified her. 'It was three in the morning and she was, you'd have to say, almost insane, raving'. 'It was almost like I was talking in tongues', agrees Kate. 'I was sprouting passages from the Bible and really felt like my mission was being interrupted'. When her mother went to collect her, Kate started lashing out and screaming obscenities. Kate was taken to a psychiatric hospital, where she remained for nine weeks. Later relapses saw her talking through her finger or complaining of having a microchip in her head. She was eventually diagnosed with bi-polar disorder, or manic depression. Her case was one of the most extreme forms of the condition, dominated by manic and delusional highs followed by crashing lows. Kate's grandmother had been diagnosed with bi-polar disorder; the disease is thought to be up to 70% genetic. Ultimately, through support of her friends, medication and psychiatry, Kate is now enjoying life again. 'What Kate has shown me over the years is that although it is horrible to have a mental illness, it's not the end of the world. It doesn't mean the end of your life as you know it'. Kate is not alone; millions of bi-polar sufferers exist worldwide. And there may be lots more: many feel unable to admit they are depressed. "Our society unfortunately still has these strange ideas about depression - that weak people get depressed. If weak people get depressed then why did Winston Churchill get depressed? Why did Abraham Lincoln get depressed? Why did Charles Darwin get depressed?" Dr Ian Chung has staked a career on understanding why people get depressed, and helping them overcome it. But the treatments available often depend on geography and wealth. In the past five years, cleaner Tabatha Watkins has tried to kill herself as many as a dozen times. On one of those bad days, she filmed herself. A quivering scared close-up tells us: 'Think of a day where you're really, really sad. Times that by 20. And that's what depression is. It's really, really horrifying'. On one trip to a hospital, Tabatha was sent home with a single Valium. There were no beds available. But again, by acknowledging the disease and with support of a caring husband, Tabatha is improving.